Scenery progress has been halted on the far side of Big Thunder Creek for quite awhile now. The prospect of maybe having to disassemble and move the railroad has put a lot of projects on hold. What's this? 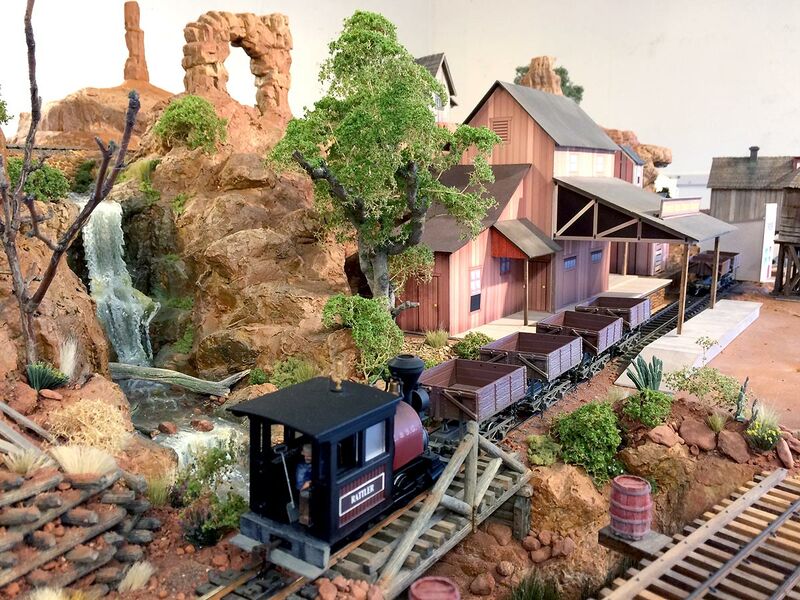 An update to the Thunder Mesa blog? There hasn't been one of those since August! Well... not exactly. This is more of an update on why there haven't been any updates. A "lack of progress" report if you will. The good news is that I'd really like to get back to work on the railroad and finish up the many, many projects that are still left to do. The bad news is that I may need to disassemble and move the entire mess at some point in the not too distant future. My wife and I have been shopping for a bigger house, you see, and that means we will be selling the property where we currently live, including the 16x16' outbuilding that houses the TMMC. In theory, the railroad comes apart into four big chunks that can, with a little coaxing, fit through the door. That's the way it was designed. In practice, well... I guess we'll see what happens. Hopefully, wherever we end up will have an adequate space to reassemble the railroad in all of its former (and future) glory. Who knows? It might even be bigger. Conversely, it might end up in a smaller, squarer, spare bedroom like space and that would call for a redesign of the current track plan. 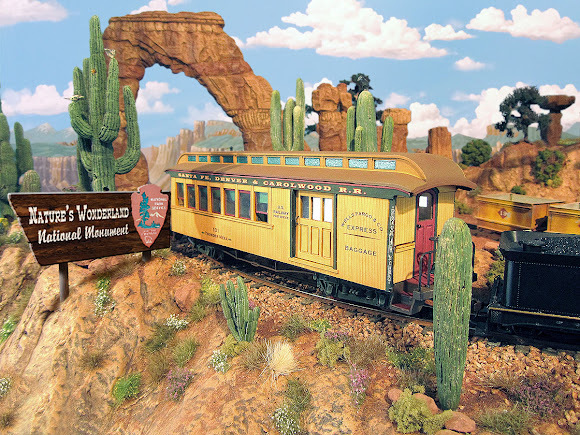 Either way, moving is rough on a model railroad, even when it's planned for, and some damage will be inevitable. So, long story short, the prospect of a move and the damage it may entail has caused me to put off finishing a lot of things, particularly scenery, ballast, and backdrop projects. I'm looking forward to what the future might hold for the TMMC, but the future's not here yet and so the layout remains in limbo. There are smaller structure and rolling stock projects I can work on, but it's tough for me to get enthusiastic about them when I don't know how everything will fit together. One thing I do know for sure is that when the move does come, I will fully document how it goes on this blog so that others can see what it's like to disassemble and move a mid-sized model railroad that wasn't really meant to be portable. Stay tuned for that, amigos. Adios for now!